We recently sat down with Dr. James Leiber, DO, one of IOF’s esteemed instructors and the founder and medical director of New Regeneration Orthopedics of Florida, to find out about how he became involved in IOF and regenerative medicine. IOF: How did you become involved with the Interventional Orthopedics Foundation? 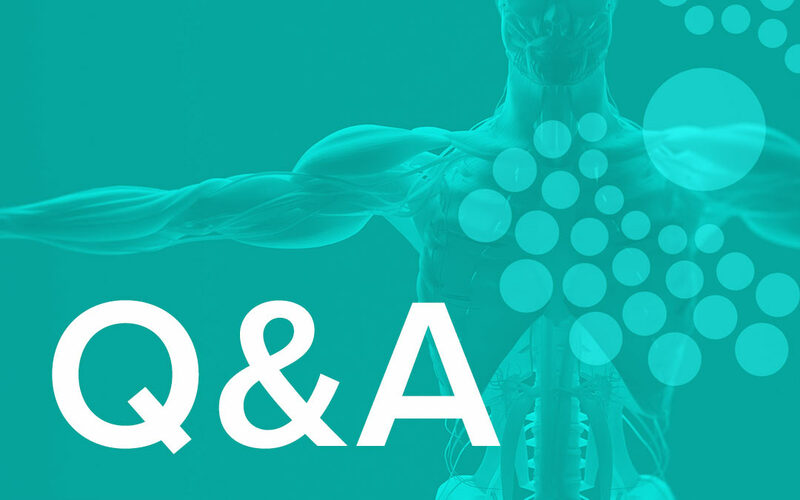 JL: I’ve been an affiliate with Regenexx for six years and have been involved in image guided interventional regenerative orthopedics as the primary part of my practice for nine years and did some prolotherapy for years before that while I was in the Air Force. I was a big advocate of IOF from the beginning and was honored to be asked to be teaching faculty for the various courses. When the prior diagnostic U.S. course director left in 2017, I stepped in to revamp the diagnostic ultrasound content and create the video presentations for each of the different body regions. IOF: Can you tell us more about how you accomplished that? JL: The various courses are broken down into different body regions. My goal is to provide outstanding video content to train musculoskeletal physicians (whether they are in residency or already have vast experience in needle based procedures) in the incredible clinical utility of diagnostic musculoskeletal ultrasound. Prior to the course, we provide diagnostic video content as well as additional excellent videos related to image guided injection procedures as they relate to orthobiologics by Dr Centeno and his team. At the course, hands-on scanning on live models reinforces the diagnostic component and then much of the course focuses on the image-guided (ultrasound and fluoroscopic guided) procedures on cadavers in small group instruction with highly trained and experienced faculty. There is plenty of time for each student to practice the techniques in this safe setting before they go back to their clinics. There are basic and advanced courses for each body region. The bulk of the diagnostics are learned at the basic level courses but the injection techniques are divided into simpler (at the basic courses) and more complex (at the advanced courses) procedural targets. Research has clearly shown that image guided techniques are superior to blind landmark based injections, and that is even more important when guiding orthobiologics directly into a tissue target. Previously, almost all injections were steroid based, and missing the target wasn’t as a big of a deal since steroids have such a potent systemic effect. These courses are by far the most comprehensive available and help train physicians to be complete interventional regenerative orthopedic physicians. Skills in both ultrasound guided and fluoroscopic guided techniques are necessary – it is difficult to be good at both and there are very few who are. Our goal is to elevate the entire field. Unfortunately, there are many providers dabbling in this field and not recognizing the importance of many of the things I’ve been talking about, and it’s a disservice to the patient and jeopardizes the advancement of the field. IOF: How is IOF different from other nonprofits in the Interventional orthopedics space? JL: The IOF is a unique organization that is committed to advancing the field of interventional orthopedics through quality training, research, and advocacy. Every new specialty requires an organized and ethical society of experts to help develop and advance the field appropriately. The IOF is focused on training and certifying physicians to be effective and complete interventional regenerative orthopedic physicians. The concept is so different than what we all originally learned in our training. The advent of the use of orthobiologics coupled with high level image guided injection skills allows us to practice using a tissue preservation type clinical strategy. This necessitates the development of new skills that were not even considered using the old philosophy. For example, there was never a need to place a needle into an ACL ligament in the past. But now, with proper techniques, both bundles of the ACL at its proximal and distal attachments can be injected and even high-grade tears can be healed. There are over 85 procedures taught and certified by IOF, many of which just haven’t been done before. It’s important for physicians to govern themselves and provide quality CME programs and a certification process to make sure that we’re all doing this at the highest level possible. Providing effective and realistic alternatives to surgery is a noble goal in this emerging field and can have a big impact on avoiding all of the issues and burden associated with surgery. Additionally, IOF is committed to bringing together experts from around the world as part of its annual conference as a gathering place for the sharing of scientific discoveries, research, best practices, and business models. In keeping with its mission, IOF also provides grants, scholarships, and stipends to physicians in-training and has actively conducted in-house research. I’m proud of the organization and hope to be part of its continued growth and development in the ensuing years. IOF: Why do you think it’s important for physicians to have access to this type of education? JL: In addition to what I said previously, it’s important to note that we have a major narcotic epidemic in this country resulting in countless deaths and devastation to the surviving friends and family members. The toll on society is immense. These non-surgical procedures can be considered to be narcotic-sparing, that is, offering real, safe, and elegant solutions to people in chronic pain that didn’t exist before. IOF: What do you think this field will look like in 5 or 10 years? JL: It’s hard to predict how the field will develop in the upcoming years. But what is certain, there is a great demand for development of this field from patients and a massive influx of capital from industry. The concept of using orthobiologics or other material to strengthen and heal tissue seems to have hit a tipping point where people (patients and doctors alike) are recognizing that with the development of these technologies and concepts, we can avoid or delay the use of surgery, narcotics, and steroids – all of which may come with a steep price to pay. I think the tools available will continue to get better and as more studies validate what those of us in the field already know. Third party payors will begin to consistently cover these procedures as a benefit for their customers. I believe we will see advanced regenerative breakthroughs in all fields of medicine and we will all be wondering how we practiced in the “dark ages” – kind of like wondering how we existed before our smartphones. IOF: What is your vision for the role IOF will play in creating and/or supporting that future state? JL: I hope to see IOF continue to lead this revolution and help physicians to develop the necessary skills and ethical standards. I anticipate that third party payors and legislators will increasingly rely on IOF’s expertise for policy decisions and they will be instrumental in making interventional orthopedics the standard of care for the majority of patients with painful orthopedic conditions.